Individual Aircraft History Records were not complete or even wrong. See the accompanying notes. 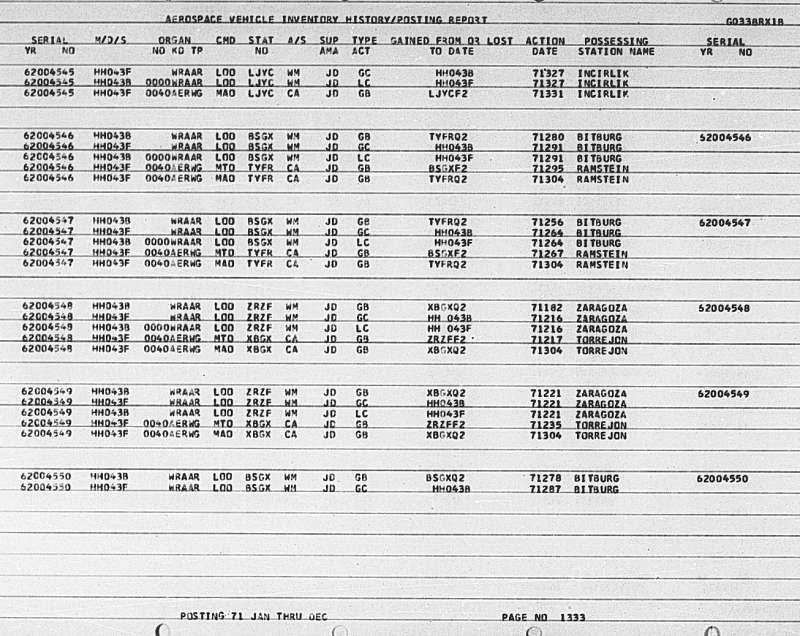 assigned locations (which were always on the Aircraft Records).